I’ve pinned countless works of Gae Aulenti over the years. The designer/architect’s impressive array of work includes my favorite home decor, furniture, and lighting. This photo of the artist’s apartment is absolute perfection. Dr. Weil is an OG when it comes to alternative medicine. I respect his integrative approach, and especially love his stance on psychotropic drugs. Hear more about in the interview he did with Joe Rogan. 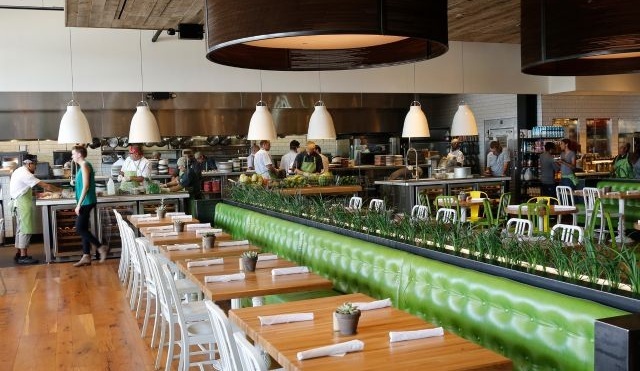 Speaking of Dr. Weil, a few years back we had a few meals at his Austin restaurant, True Food Kitchen. We were super impressed and there are so many options. It was great for the whole family. I have literally been counting down the days since I heard one would open in Kansas City, and my first visit lived up to the expectation. Excited to have another option that pays close attention to sourcing, eating seasonally, and offers several GF/DF/grain free/vegan options. Not all coconut butter is created equal, and this one is in a class of its own. The CAP beauty coconut butter is stoneground and never heated, which makes it truly raw. This creamy, nutrient dense super food is high fiber, healthy fat goodness that you enjoy by the spoonfull, or add to your smoothies or as a creamer for your coffee/tea/tonics. My favorite trick is to blend with water in a vitmaix for a quick coconut milk. Available at Within! I love a big batch of this turmeric ginger tea weekly. It’s super simple to make: just peel and dice several roots of fresh turmeric and ginger, then simmer in water for several hours. Strain the liquid and drink warm, then cold-store the rest in the refrigerator. I save the ginger and turmeric root in the fridge and re-simmer them for the next batch. Amazing for inflammation and immunity! Highly considering starting a go fund me page for these Margeila Boots. I think about them daily.